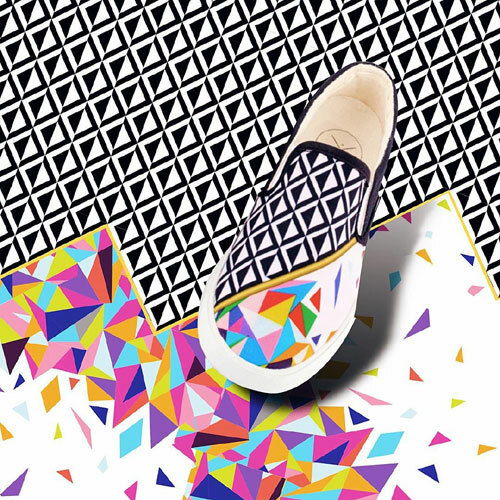 I am going to leave you all for the weekend with these fun shoes by Kelsey Archila. 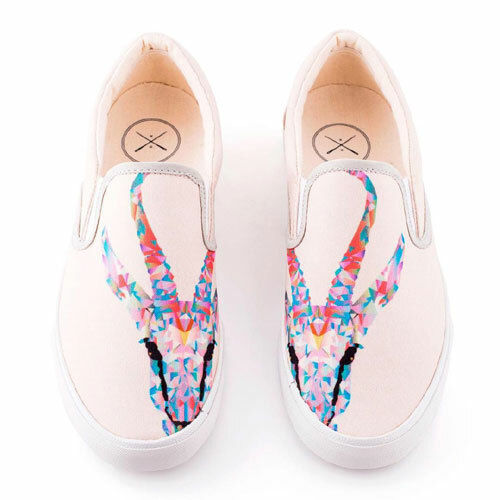 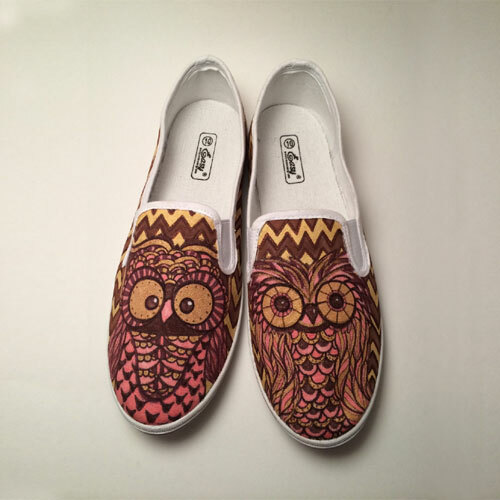 Kelsey Archila is a 25 years old artist and a shoe designer who loves patterns and colors. 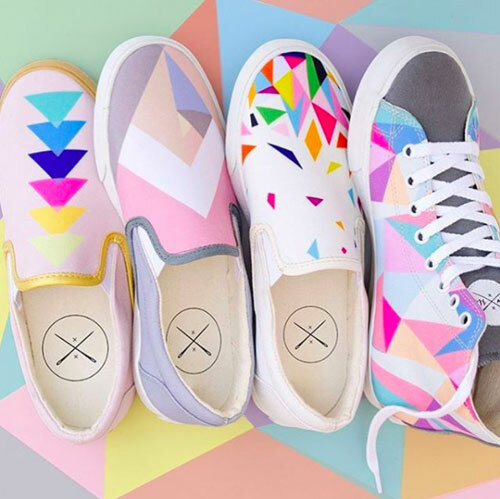 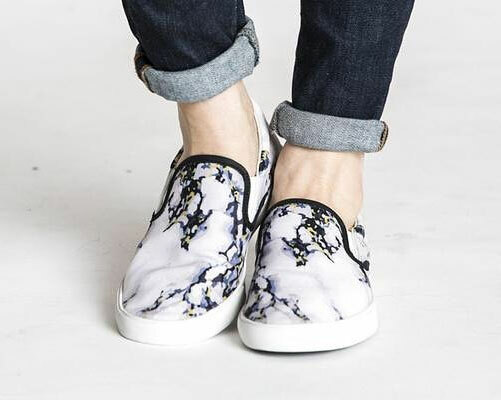 She started her shoe business out of her childhood bedroom, her inspiration was all things vibrant and her need for a pair of cool shoes that stand out in a crowd. 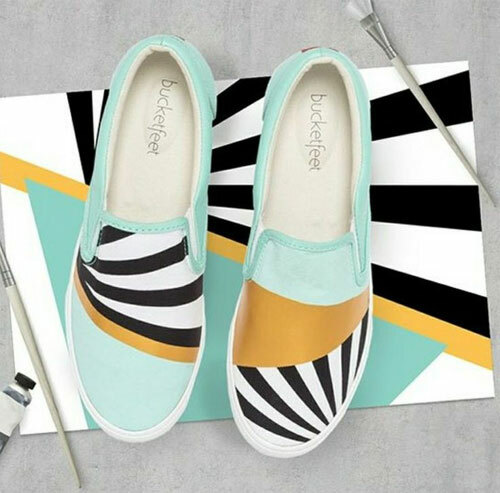 She didn't know at the time that her very first pair of cheap sneakers she hand-painted for days will be a new beginning of her creative journey. 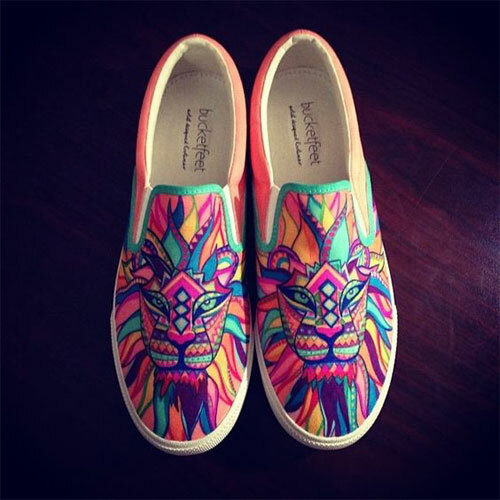 You can visit her online store and Instagram for more of her hand-painted shoes. 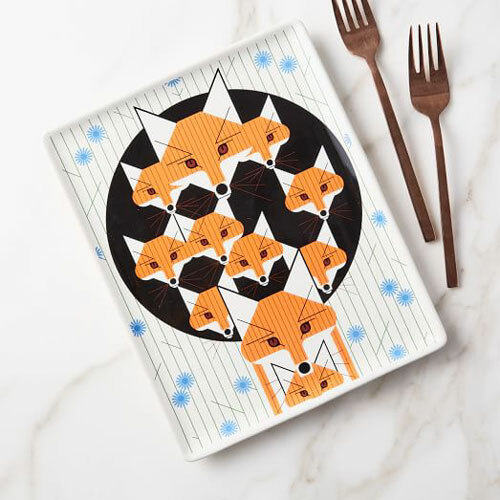 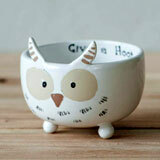 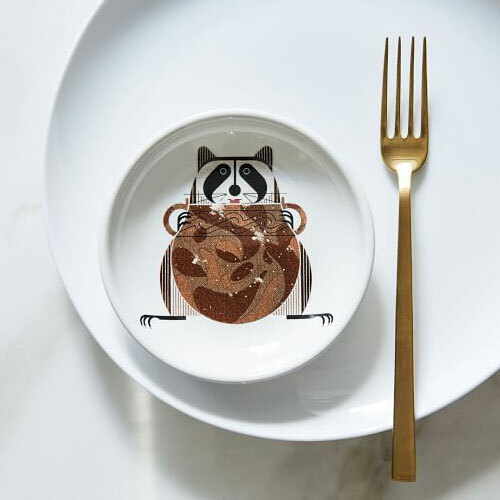 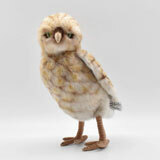 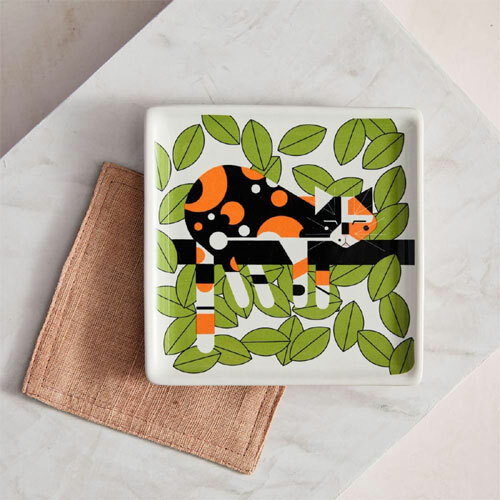 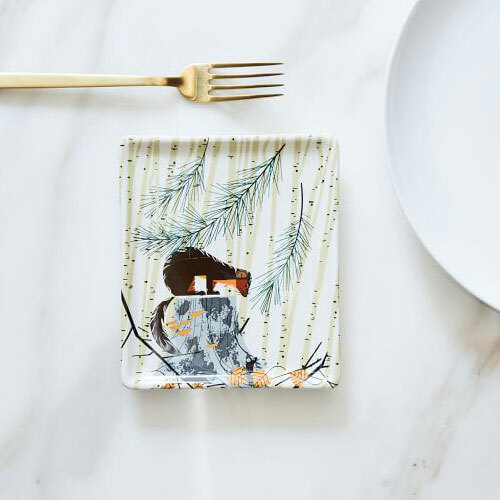 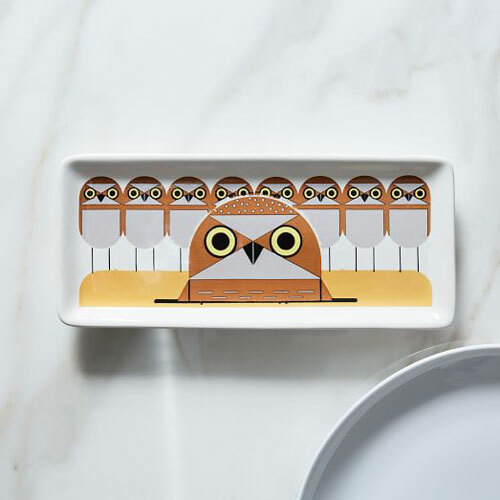 Sur La Table's new collection Woodland Animals gets you ready for the fall. 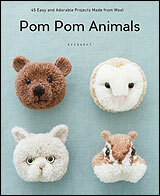 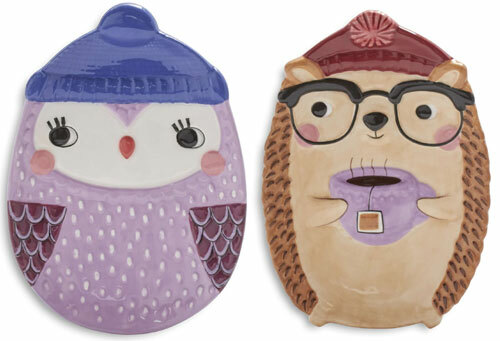 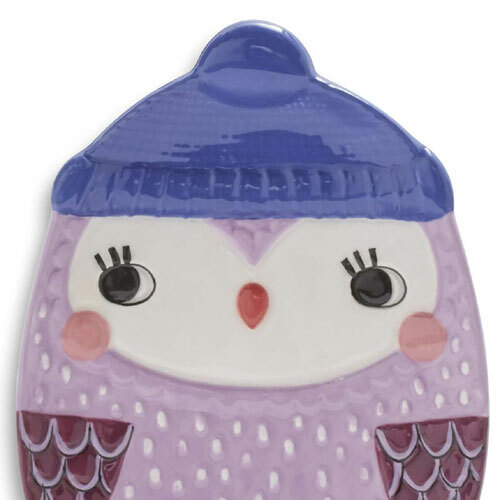 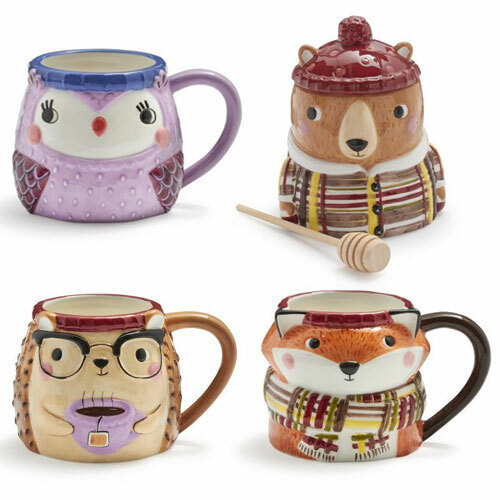 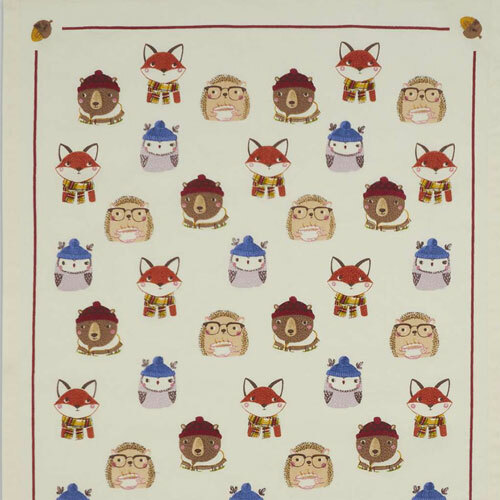 The collection features owl, fox, bear and hedgehog in hats and scarves, drinking hot cocoa to keep themselves warm. 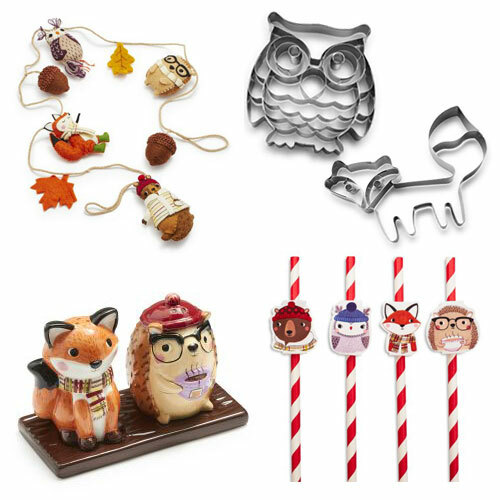 There are many products that are perfect if you are planning a Fall party like garland, straws, and cookie cutters. 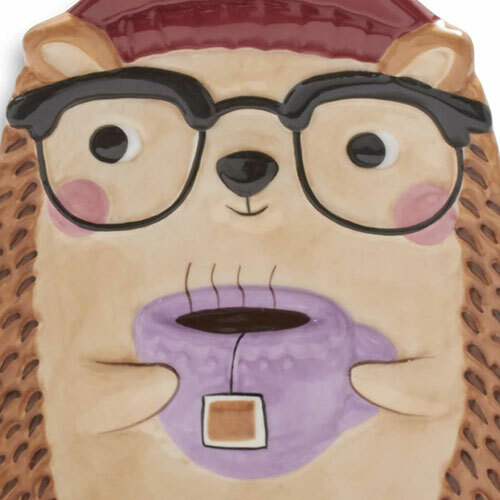 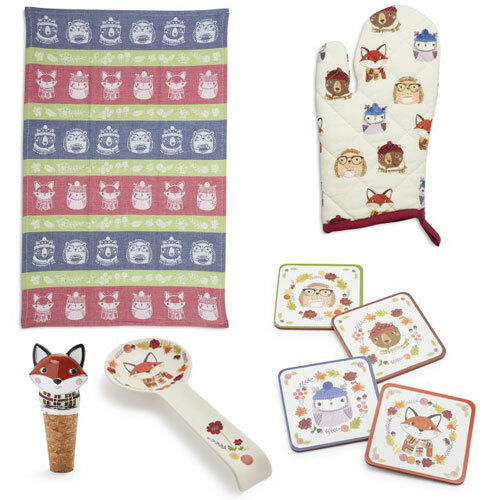 Tea towel with forest creature faces, spoon rest, honey pot, coasters, plates, bottle stoppers and mugs in seasonal colors will instantly bring whimsy to your kitchen. 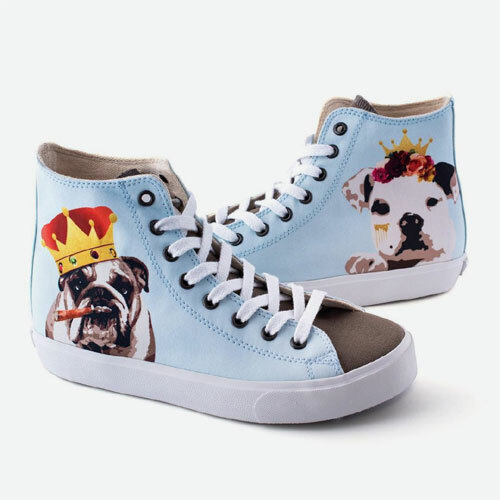 You can find all the products from the collection and order online from here. 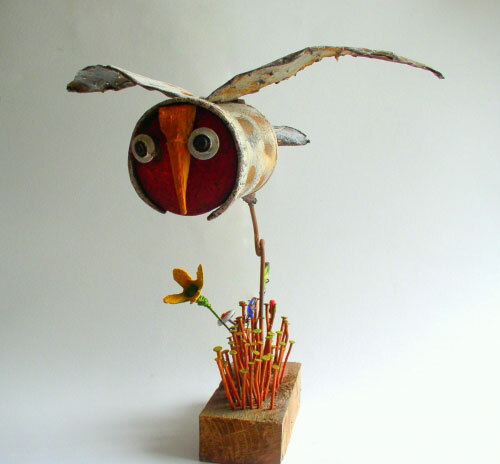 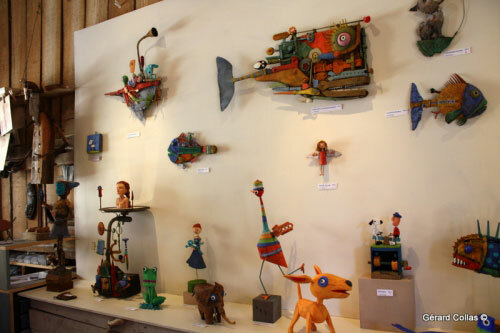 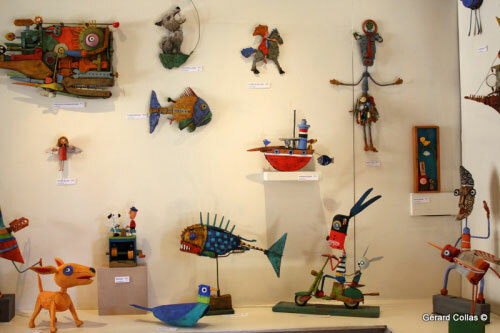 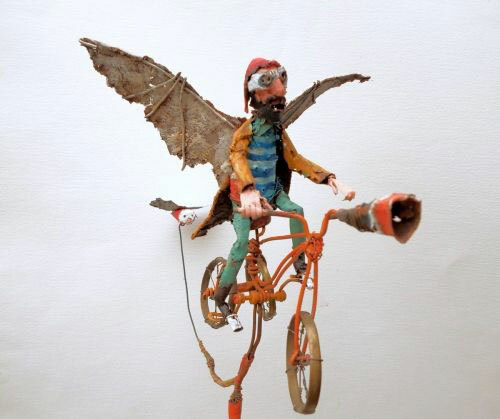 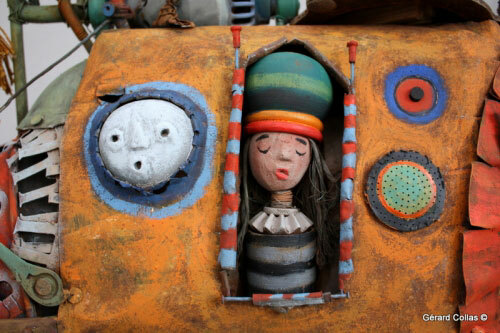 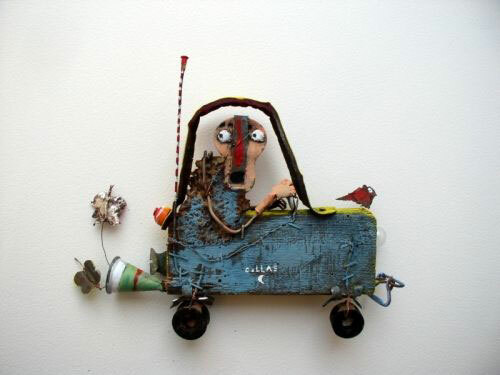 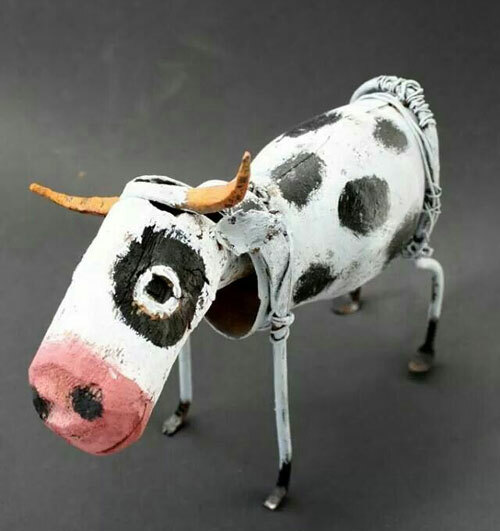 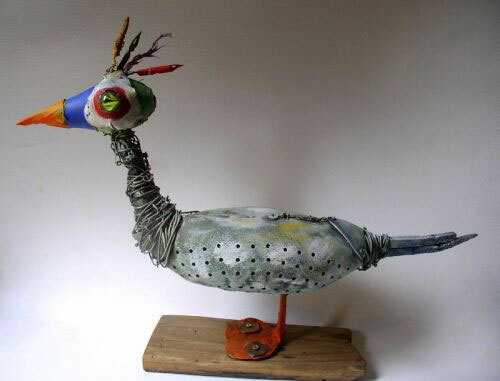 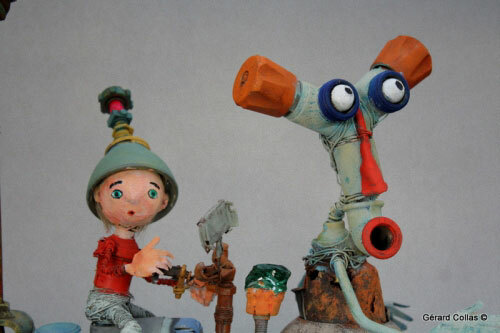 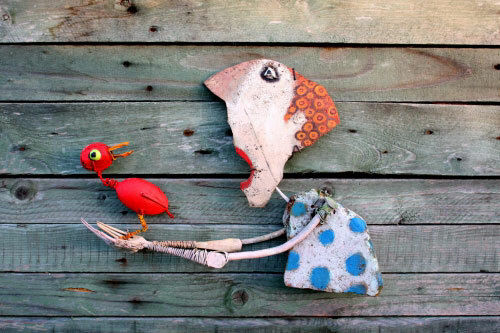 Let me introduce you to the amazing work by Gerard Collas a French artist who uses recycled materials in building the assemblages and sculptures. 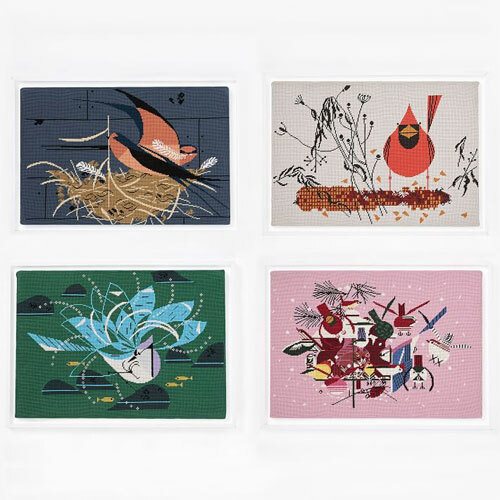 His work is delightful, a complete visual treat for the viewer. 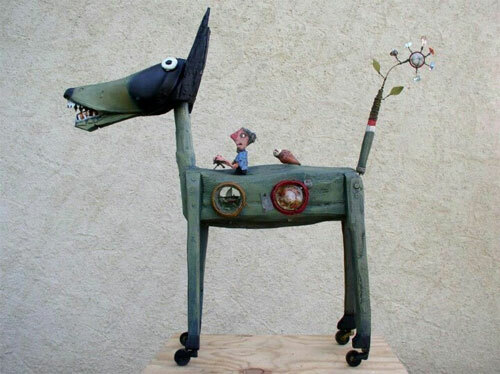 Each piece is constructed with many small details that can be discovered on a careful observation. 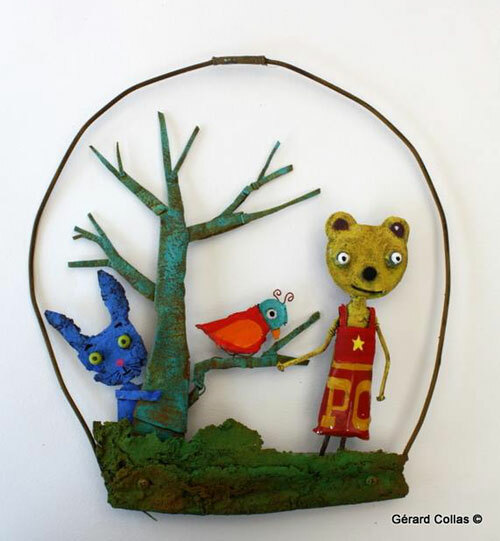 His characters are quirky to whom he brings to life with the use of vibrant color palette. 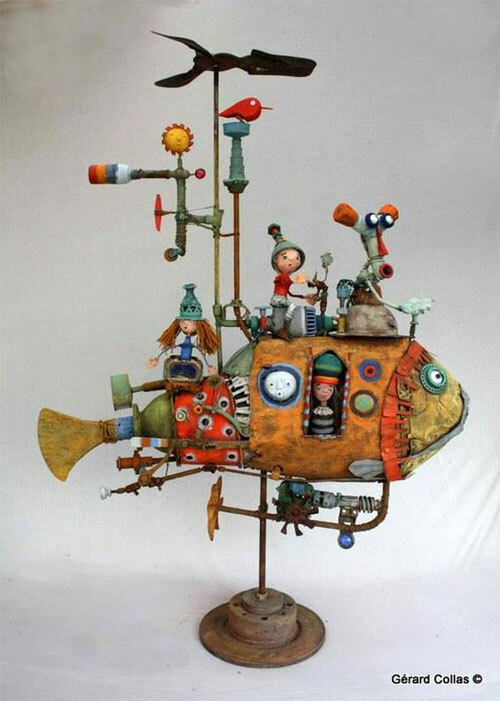 I wish I could learn more about his work but I couldn't find much information. 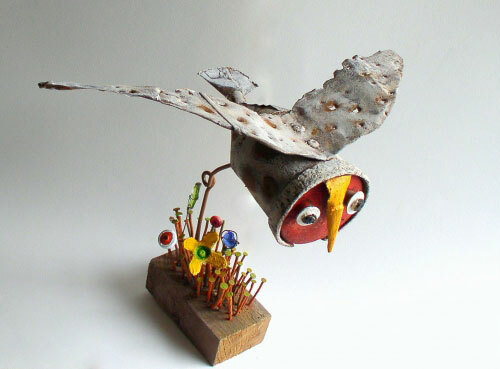 To see more of his work and read more about him go to his website (it's in French). 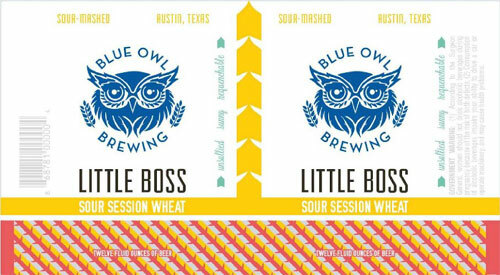 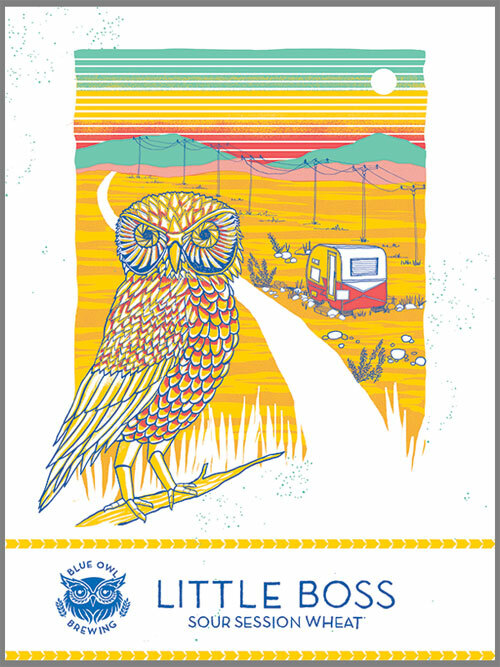 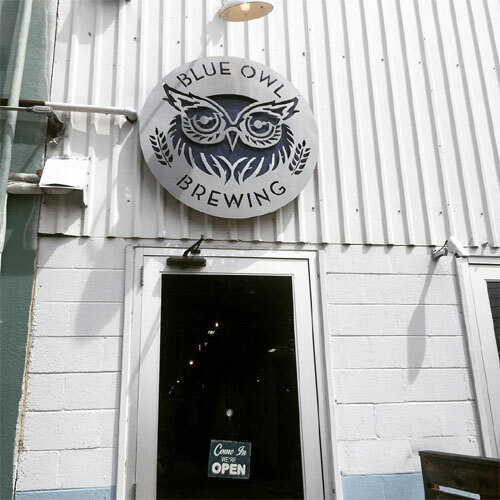 Blue Owl Brewing founded in 2015 is a brewery with a range of sour-mashed beers based in Austin, Texas. 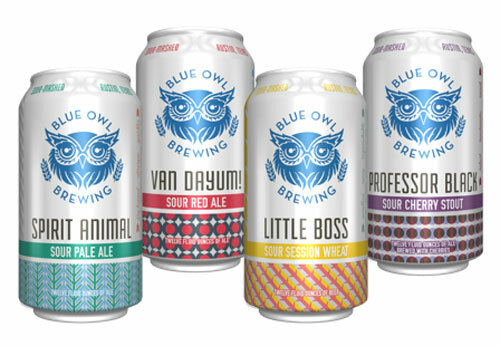 The brand started by Jeff Young and Suzy Shaffer is actually the first brewery that created specialized equipment and developed techniques to maintain the quality and consistency of the beer. 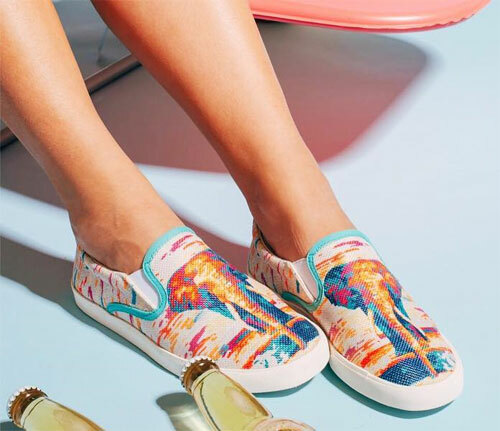 The team worked with Jessica Deahl a designer and an illustrator to create eye-catching design to go with their high-quality brand. 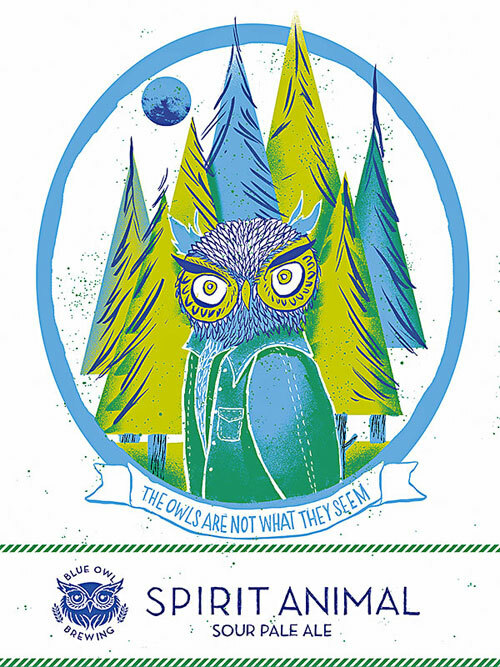 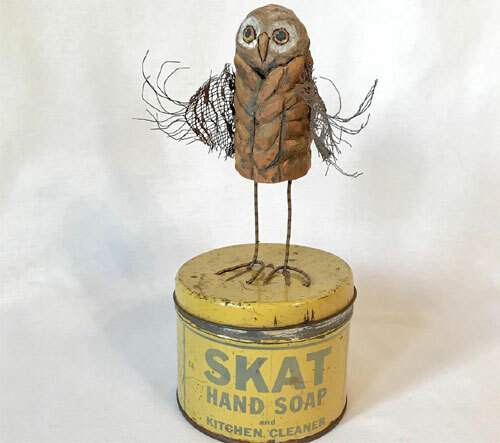 The founders chose the owl as the theme, they shared why did they choose the owl "because of the qualities we admire – wise, unique, striking, and a little quirky". 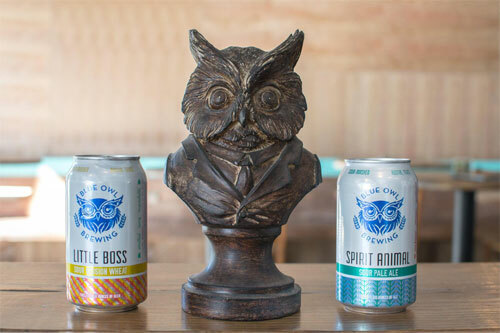 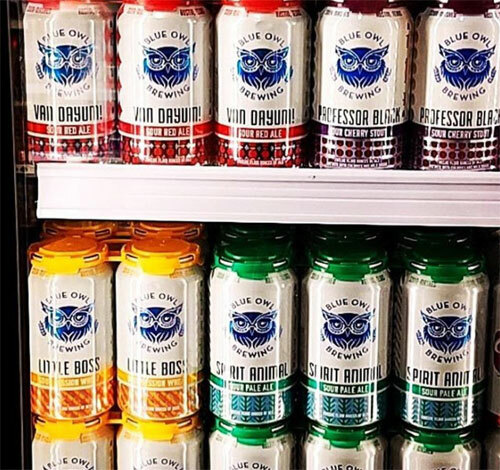 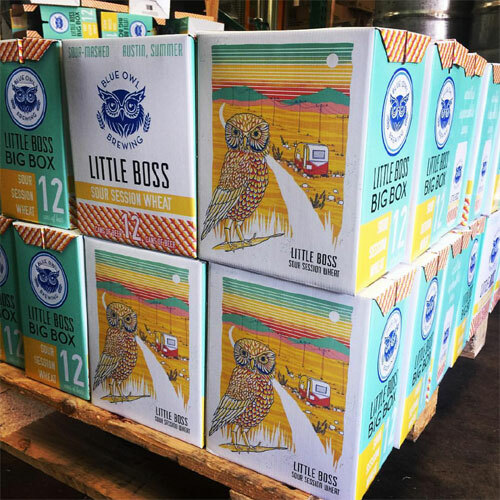 A fun and iconic owl head graphic in blue feature on the cans, box packaging, brewery glassware, posters and more. 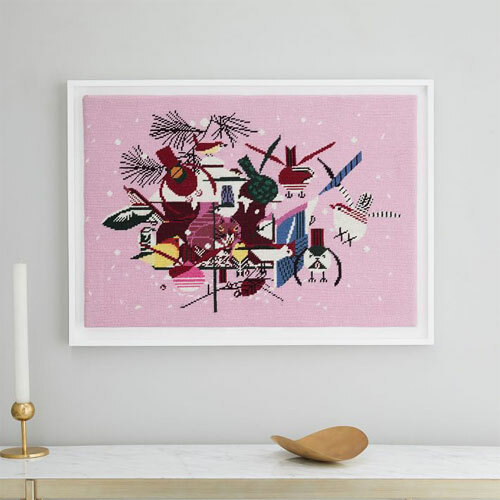 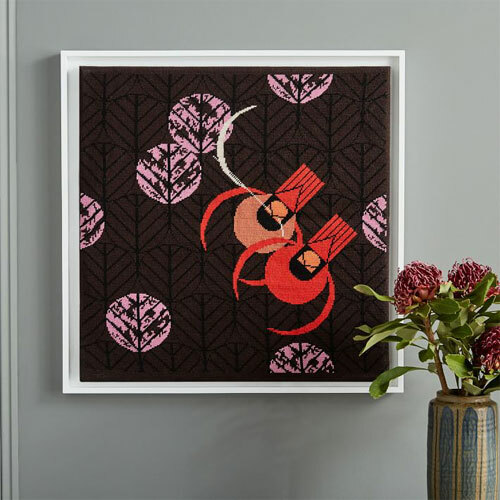 Now that we have seen many products adorned with Charley Harper's illustrations, it's safe to assume that there's no surprise the iconic graphics look wonderful on almost everything from wall art and wallpaper, to rugs and bedsheets. 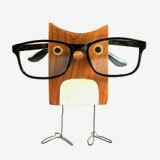 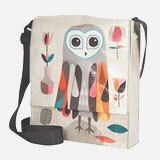 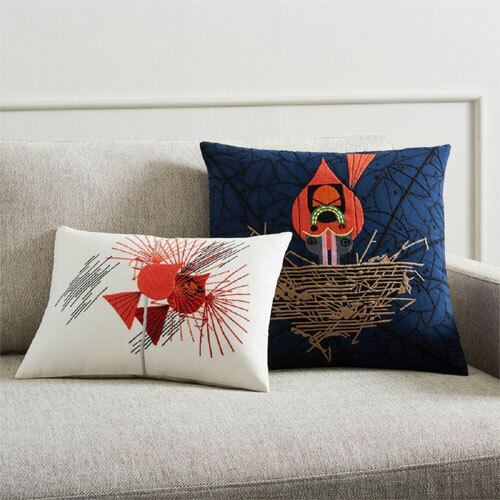 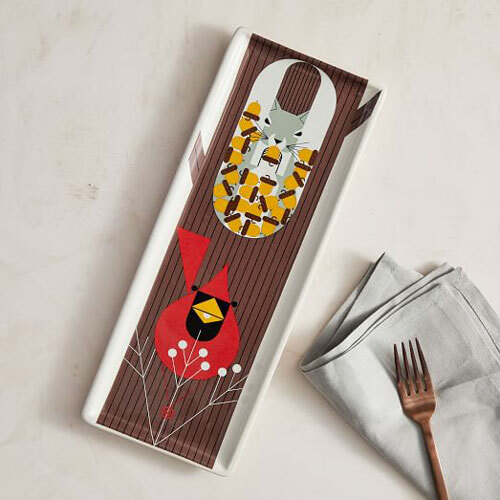 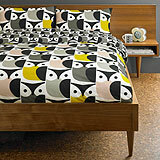 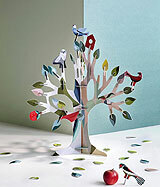 West Elm launched a bunch of new products in collaboration with the Charley Harper Estate and Fishs Eddy. 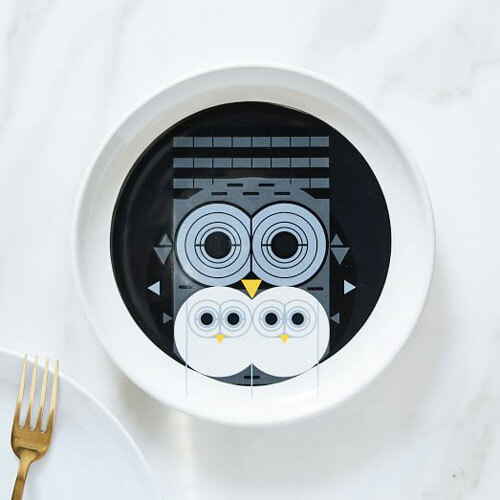 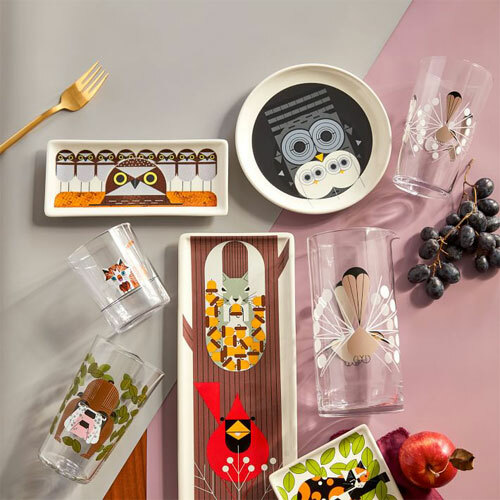 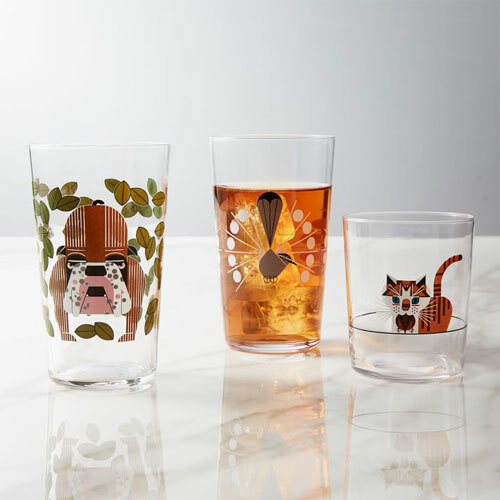 The range offers glassware, plates, cushions and hand-embroidered tapestry featuring owl, cardinal, raccoon and other whimsical graphics based on Charley Harper's original artwork.